Born: 6 August 1753, Paramaribo, Surinam. Died: 22 November 1824, La Noue, near Sezanne, France. Francois Le Vaillant (also Levaillant) spent his first ten years in Surinam, where his father was a businessman and part-time consul of France. He was educated mainly by his parents. From them he also acquired a love of adventure and an interest in natural history and the native inhabitants of the country. Before he was ten years old he had begun to collect birds and small mammals with the aid of a blow pipe and native bow and arrows. In April 1763 the family returned to France and settled in Metz, where his father was born. Here an apothecary and bird collector, Jean-Baptiste Becoeur, taught him how to prepare and preserve bird skins, at which he became very proficient. He does not seem to have received much formal education, but had a flair for languages. Around 1770 he moved to nearby parts of Germany for two years and thereafter lived in Lorraine and Alsace (probably in Luneville) for seven years. During this time his main interests were hunting and the study of birds, and he assembled a sizeable collection of natural history specimens. On 18 September 1773 he married Marguerite S. de Noor and a few years later moved to Paris. The marriage was later anulled. He married for a second and third time, and altogether had ten children. Le Vaillant wished to undertake a major journey to a region that had not yet been studied by an ornithologist. In July 1780 he left Paris to visit the owners of natural history collections in the Netherlands. In Amsterdam he met Jacob Temminck, bird collector and treasurer of the Dutch East India Company, who played a role in his decision to go to the Cape of Good Hope and helped in the preparations for the journey. Le Vaillant left in December 1780 (a day before war broke out between England and the Netherlands) and arrived in Cape Town on 14 April 1781. Here he befriended, among others, Colonel R.J. Gordon* and the Fiscal Willem Boers. In May 1781, with all his possessions, he accompanied some Dutch ships sent to Saldanha Bay for better protection against the British. However, as the result of an engagement with that enemy he lost all his possessions. Fiscal Boers offered him financial assistance that enabled him to re-equip. During his stay at the Cape Le Vaillant made two extensive journeys into the interior. The first, from December 1781 to (probably) October 1782, proceeded eastward via Swellendam and Mossel Bay to the vicinity of George, across the Outeniqua Mountains to the Langkloof, eastwards beyond the Sundays River, and past present Somerset East to the Great Fish River near Cookhouse. For most of this journey he followed the route of earlier travellers such as Ensign A.F. Beutler*, C.P. Thunberg*, A. Sparrman*, and Colonel Gordon. He returned via the southern extension of the Sneeuberg Range, crossing the Karoo south of Graaff Reinet. Back in Cape Town he travelled in the surrounding districts and stayed for some time with Colonel Gordon, who gave him much useful information about the country to the north. His second major journey, from about June 1783, proceeded northwards via Piketberg, Heerenlogement (where he engraved his name, "Vailant" on the cave wall), Koekenaap (with a diversion to the mouth of the Olifants River), the Kamiesberg, and Simon van der Stel's* copper mine to the Orange River at Goodhouse and Ramansdrift. Returning to Cape Town he stayed with Colonel Gordon again. He left the Cape in July 1784, arriving in Holland in November. Two months later he joined his family in Paris. He brought back many natural history specimens, mostly birds (more than 2000 specimens), but also some mammals, plants, ethnological objects, and an unknown number of insects. Many of the specimens were sold to Temminck and other collectors. A collection of his birds was bought by the French government for the museums of the state in 1796. After his return to France Le Vaillant spent years organising his collection and writing up an account of his travels. He was well acquainted with the available ornithological literature and had access to many natural history collections in Europe, though his work may well have been hindered by the unrest following the French Revolution of 1789. A description of his first expedition in South Africa, Voyage de M. Le Vaillant dans l'interieur de l'Afrique par le Cap de Bonne-Esperance, dans les annees 1780, 81, 82, 83, 84, & 85, edited by his father, was published in Paris in 1790 (2 vols). The exciting adventures and romantic style made it an immediate success and other editions soon followed. An account of the second expedition, Second voyage dans l'interieur de l'Afrique, par le Cap de Bonne-Esperance, dans les annees 1783, 84 et 85 (Paris, 1795, 3 vols) proved equally popular. It was edited by C. Varon, who seems to have taken some romantic liberties with the text. English translations, titled Travels into the interior parts of Africa... and New travels into the interior parts of Africa... were first published in 1790 and 1796 respectively. The books were also translated into German, Dutch, Italian, Swedish and Danish, and did much to draw international attention to the Cape. The two travel books reflect both keen powers of observation, as shown by vivid details, and a lively imagination. However, little information is given about his routes and his chronology is garbled. These and other inaccuracies (particularly in the somewhat biased English translations of his books) led to strong criticisms, among others by the travellers John Barrow* and M.H.K. Lichtenstein*. The descriptions of his travels into the Transkei and southern Namibia are particularly lacking in detail and his claims to have visited these regions have been questioned. A detailed study of the routes by the geographer V.S. Forbes (in Francois Le Vaillant..., 1973) indicates that he did reach the Great Fish River and possibly travelled further east, and that he definitely reached the Orange River at Ramans Drift and may well have crossed it. With regard to his veracity it is necessary to bear in mind the attitudes and conventions of the time, and the fact that he wrote to entertain rather than to instruct. The faults in his work appear to be the result of carelessness, rather than an intention to deceive. Meanwhile Le Vaillant had been working on a major ornithological work, Histoire Naturelle des Oiseaux d'Afrique, which appeared in 51 parts, each consisting of six plates and accompanying text, between 1796 and 1813. Four editions were issued concurrently, the dates of their six volumes ranging from 1796 to 1808. Many reprints or re-issues followed, as well as German and Dutch translations. The work contained 300 plates, prepared by three artists and four engravers, and descriptions of 287 species. It was well-received. His descriptions of species were quoted by many later scientists, even though he did not use binomial names and was more concerned with the behaviour and natural habitat of the birds than with their scientific classification. However, inaccuracies were soon noted and criticism of the work became harsh after about 1850, when the birds of southern Africa were better known. Detailed studies of the plates and descriptions have shown that of just over 200 species he claims to have observed in South Africa, many do not occur here. Furthermore, ten of his species do not occur in nature and were almost certainly made up by one of the taxidermists who prepared his specimens. None the less he described and illustrated over 130 good species that occur in South Africa, most of which were unknown at the time. He was the earliest traveller in South Africa to devote himself mainly to birds, and his book was by far the most comprehensive work on African birds produced up to that time. He is therefore recognised as a pioneer of African ornithology and is commemorated in the following species names: Trachyphonus vaillantii (Crested Barbet), Scleroptila levaillantii (Red-winged Francolin), and Clamator levaillantii (Levaillant's Cuckoo). In 1801 he started three other ornithological works. The first dealt with new and rare birds of America and the West Indies (1801-1802, 98 plates), the second with the natural history of parrots (1801-1805, 145 plates), and the third with birds of paradise (1801-1806, 114 plates). Some less comprehensive ornithological works followed in later years. Other works, including a volume on African mammals, were planned but not completed. In 1796 Le Vaillant left Paris and settled in a large house and grounds, received as a gift from his father-in-law, at La Noue, some 100 km east of Paris. Here he remained for the rest of his life, though he also had a residence in Paris and was listed as a trading naturalist there until 1823. He was a slenderly built man with a passionate disposition, known as an expert horseman, hunter and marksman, a born traveller, somewhat vain and inclined to depict himself in a favourable light, interested in everything he saw, and probably a gifted raconteur. Intellectually he was an admirer of the philosopher Jean Jacques Rousseau. After his death his books, papers, engravings and hundreds of original drawings made by two of his artists were auctioned in Paris and can no longer be traced. However, 165 water colours connected with his travels are in the Library of Parliament, Cape Town, and formed the subject of two volumes of plates and essays published in 1973. The plates depict zoological (48), botanical (47), anthropological (39) and topographical (31) subjects. Their artistic and scientific quality varies, not all are original, and some depict species from outside South Africa. None the less they form a significant source of information about the natural history of the Cape during the late eighteenth century. Other collections of water colours are to be found in Leiden, The Hague and Amsterdam. Forbes, V.S. Notes and extracts relating to Francois Le Vaillant. Quarterly Bulletin of the South African Library, 1975, Vol. 30(1), pp. 20-31. Francois Le Vaillant, traveller in South Africa, and his collection of 165 water-colour paintings (2 vols). Cape Town: Library of Parliament, 1973. Le Vaillant, Francois. Travels into the interior parts of Africa, by the way of the Cape of Good Hope in the years 1780, 81, 82, 83, 84 and 85 (translated from the French). London, 1790, 2 vols. Sclater, W.L. 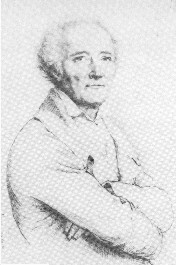 Francois Le Vaillant, 1753-1824: an early French ornithologist. The Ibis, 1931, Series 13, Vol. 1, pp. 645-649.